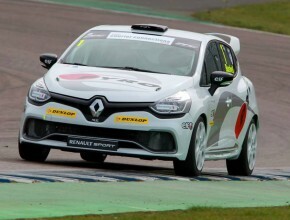 Organisers of the Renault UK Clio Cup, the British Automobile Racing Club, are delighted to announce a new headline sponsorship deal with Scottish haulage and distribution business Courier Connections, a tie-up which will also provide the 2014 title winner with a unique champion’s prize. 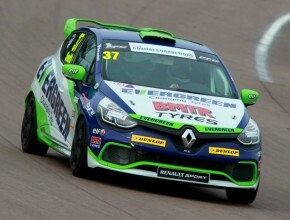 Officially confirmed this morning, Wednesday, 19th March, at the start of the category’s annual Media Day at Rockingham in Northamptonshire, the key Dunlop MSA British Touring Car Championship feeder series will now be known as the ‘Courier Connections Renault UK Clio Cup’. In a neat twist to help celebrate and acknowledge Renault UK’s 40th anniversary year in national level motorsport in Britain, as well as Courier Connections’ 20th year in business, company chairman Martin McGeough has put forward an unexpected prize for the first British champion of the fourth generation Renault Clio Cup era – a restored, classic Renault 5 GT Turbo road car! As well as winning the Renault 5 GT Turbo and, of course, the coveted champion’s trophy, the 2014 Renault UK Clio Cup title winner will also enjoy the use of a Clio Renaultsport 200 Turbo EDC roadcar for 12 months. Renault 5 cars were, of course, the forerunners of the Clio Cup with the first of Renault’s one-make championships taking place in the UK in 1974 with the Renault 5TL. Moving to the Renault 5TS in 1978, the Renault 5 GT Turbo became the car of choice between 1985 and 1990 before the advent of the first generation Renault Clio in 1991. The road-going Renault 5 GT Turbo which will form part of the 2014 Renault UK Clio Cup prize package will be on display throughout the season in the BTCC support race paddock, outside the Renault Race Centre, at each of the nine events. The car will then be presented to the eventual champion on the final weekend of the season, at Brands Hatch in Kent. “Welcoming Courier Connections onboard as the headline sponsor for the Renault UK Clio Cup is fantastic news for the championship, competitors and teams”, said Jeremy Townsend, Renault UK Communications Director, “We are delighted to be working with Martin McGeough and his company, especially at the start of the new era for the fourth generation Clio. Based in Bellshill, Lanarkshire, Courier Connections provides the full range of road transportation, from vans to 44 tonne HGVs, with services including large-scale palletised freight distribution and refrigerated connections. 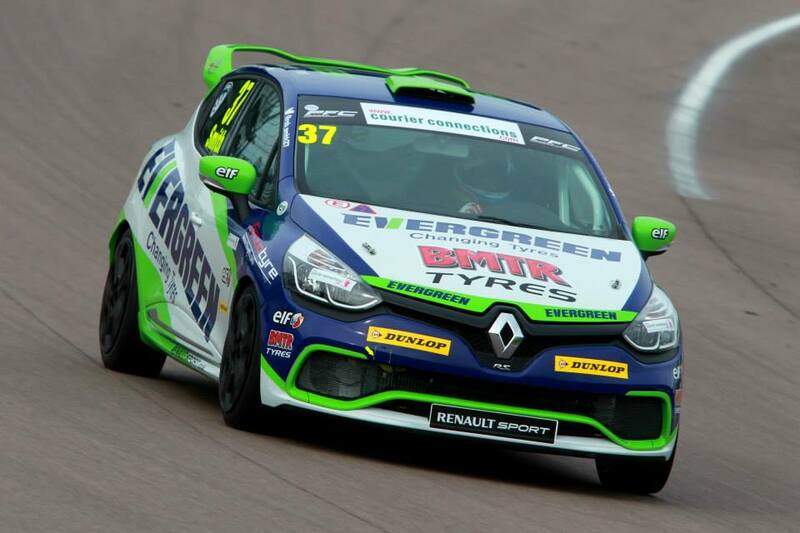 Speaking on the sponsorship agreement, Martin McGeough said: “Becoming headline sponsor of such a prestigious, high profile and well known motor racing championship as the Renault UK Clio Cup is a fantastic development for Courier Connections. As a huge motorsport fan and trackday enthusiast myself, I am delighted to be associated with the category. 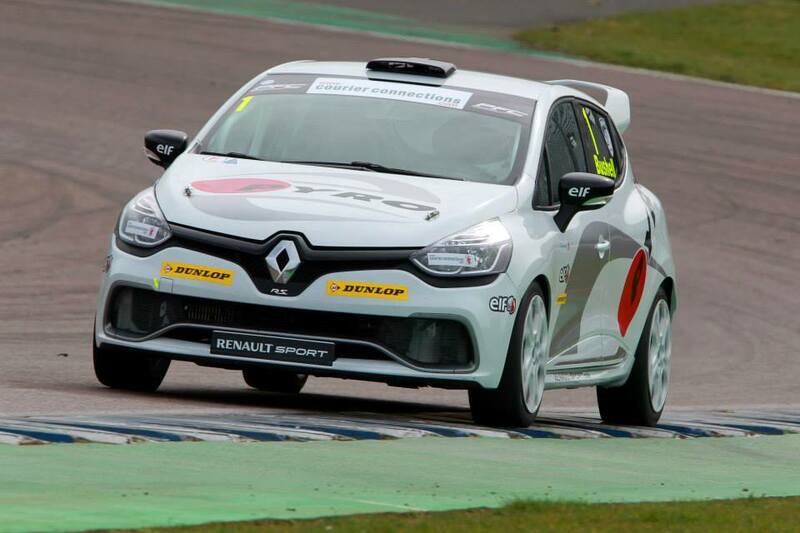 Following today’s officially timed test sessions at Rockingham, the opening two rounds of the 2014 Courier Connections Renault UK Clio Cup will take place at Brands Hatch Indy Circuit in Kent – in support of the British Touring Car Championship – on 29th/30th March.